SCOTTSBURG, Ind. 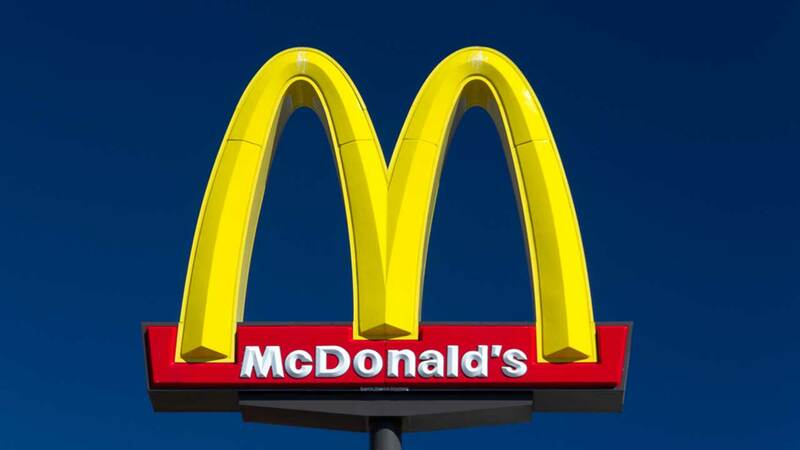 -- One simple act of kindness can spark a chain reaction of charity - and a McDonald's drive-thru in Indiana proved it on Father's Day. It started when a woman in downstate Scottsburg noticed a dad with small kids in the car behind her as she paid at the cashier's window, Tammi Hammonn, a manager at the McDonald's, told CNN. "She looked back and saw a father with four little kids, with a couple of Happy Meals and such," Hammonn said. "She said she was going to pay for him, and to tell him Happy Father's Day." But that was just the beginning. From 8:30 p.m. to midnight, every driver paid it forward. "It was pouring rain, and I was in the middle of it, wondering why my drive-thru was so slow," said Hammonn, who also was a customer -- guest 105 -- that night in the drive-thru lane. "I saw the man in front of me talking to the cashier out in the rain, and I was wondering what was going on." Drive-thru cashier Hunter Hostetler ushered through the generosity -- car after car after car. "I had people telling me, 'No, it's going to stop here. It's going to stop at 100. You're not going to make it past,'" he told CNN affiliate WDRB. But it just kept going. "I thought it was pretty amazing," the 161st customer, Abby Smith, told WDRB. "You don't see a lot of pay-it-forwards anymore." When a customer threatened to break the streak, the McDonald's crew picked up the slack, pooling their own pocket money to keep it alive. They only had to shell out about $27, Hammonn said, adding that in the end, they were "stoked." Hostelter, Smith and Hammonn all attributed the thoughtfulness to their small town. "Probably anywhere in the world, something like this just doesn't happen," Hostetler told WDRB. The chain only ended when the restaurant closed -- and the last woman desperately wanted to keep it going. "We had to tell her we were so sorry, and we needed to close," Hammonn said. "But it would have gone further." "It's a great feeling to know that there's a lot of great people out there still," Smith added.